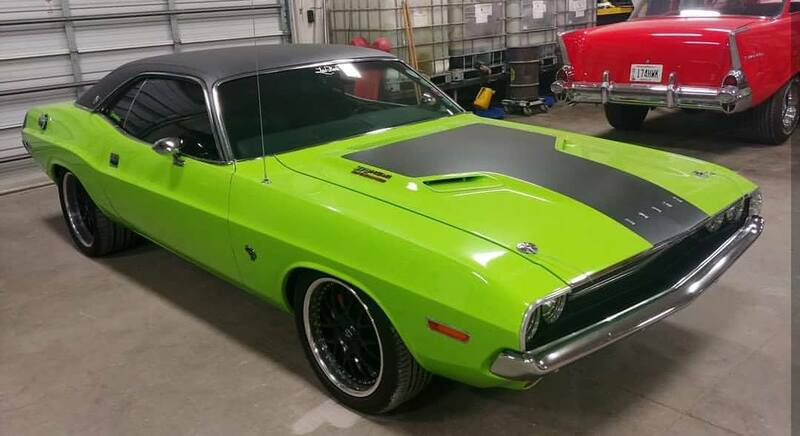 Larry Rose’s 1970 Dodge Challenger RT/SE is visiting Cleveland Power & Performance in Columbia Station, Ohio for some minor upgrades and a set of late-model Hellcat seats. Larry built the car with a supercharged 6.2 L Hellcat V8 that makes 680 horsepower and 585 lb-ft of torque thanks to a 2.4 L IHI supercharger. 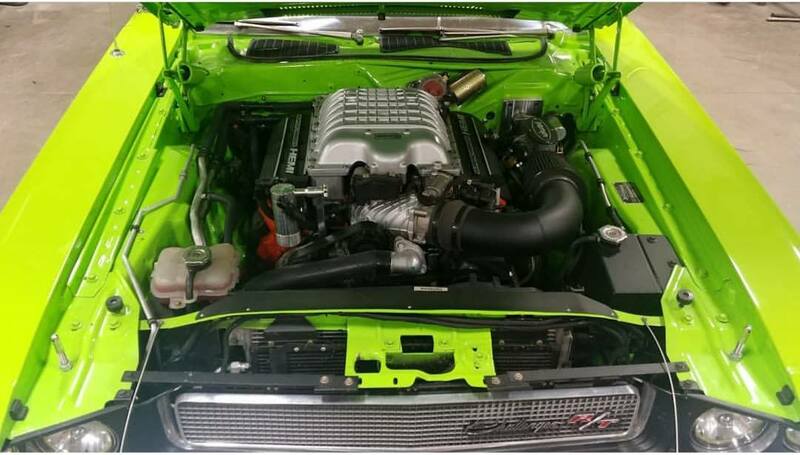 The drivetrain uses a Hellcat 8HP90 eight-speed automatic transmission, Driveshaft Shop custom driveshaft, and Dana 60 rear end with 3.54 gears. 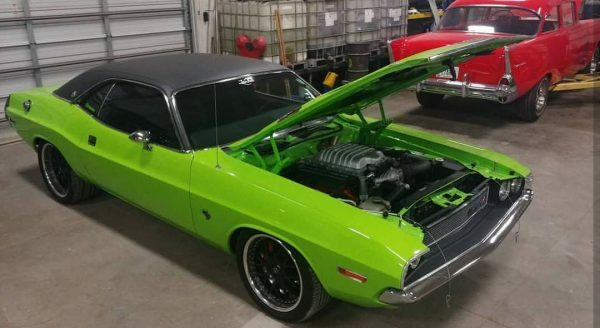 The Challenger rides on a Reilly Motorsports AlterKation front subframe/suspension and Street-Lynx 4-link rear suspension with Wilwood 14-inch brakes (6-piston front, 4-piston rear). 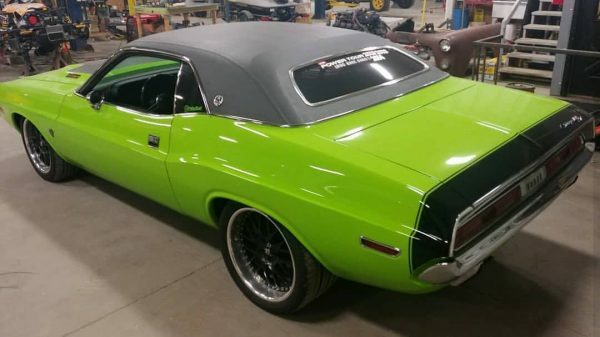 You can view more photos and details in HotRod’s article from 2017.